“My Visual Art is the way to make music in a frequency band inaudible to the human ear”. Hiroshi Mehata was born in Mie, Japan in 1982. He is a musician of Noise/Experimental Music and is a contemporary artist who has been creating visual artworks based on his own music in Tokyo, Japan. 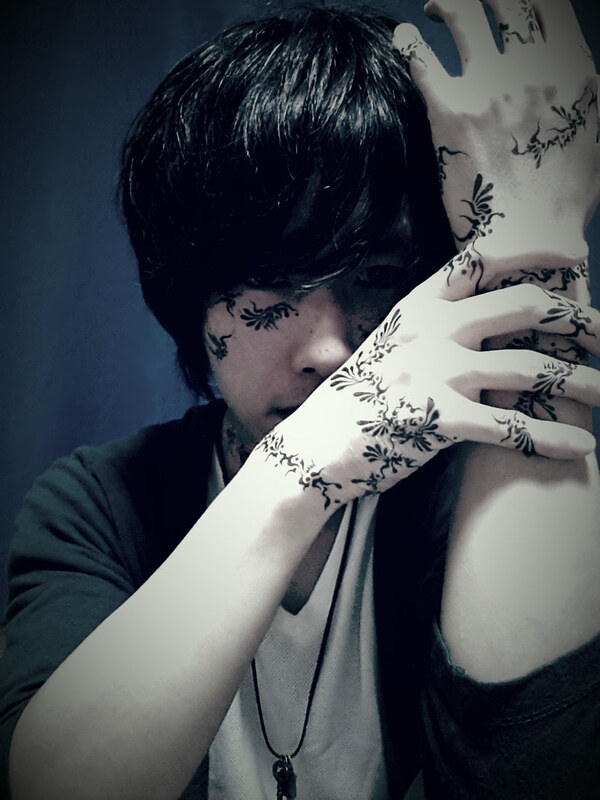 After music experience with several bands in Mie and Tokyo, Mehata started his solo music project around 2007. His first album “Noum Zeccyou” was released from Germany’s Mind Plug Records in 2011. In 2013, he had his first solo exhibition as a visual artist: “Mehata Hiroshi – Noum Zeccyou” at Gallery TEXU in Spain. In 2015, he started a music tour in Spain “Noum El Final de mundo” and his art was showcased at Colorida Art Gallery in Lisbon, Portugal. He represents the unconscious world that exists between dreams and reality. Using the images and the misunderstandings that emerge dreams and reality melt is the basis of his main concept called ‘Noum’. As a musician, his main representation, he has been looking for the ultimate sound. When he has brush and pen in his hands, he can feel that he has found a way to express the music he has in his heart. In other words, his visual art is one form of his musical pursuit. Mehata’s art types are mainly music, drawings, digital print works, free improvisation Shodo drawings, video art and designed music albums. In combination with his music performance, Mehata does video projection and installation works as well as conceptual art. He is not only devoted to solo work, Mehata produces music with several other music bands: Gaiamamoo – that performed at the music festival “Sound Live Tokyo 2015” sponsored by Japan Center, Pacific Basin Arts Communication (PARC) -, Il Offre Sa Confiance Et Son Amour, and Togoronomiko. Mehata collaborates as well with other musicians, artists, and poets worldwide. Currently, he is developping his activities in Italy and Australia.